Hey Everyone! 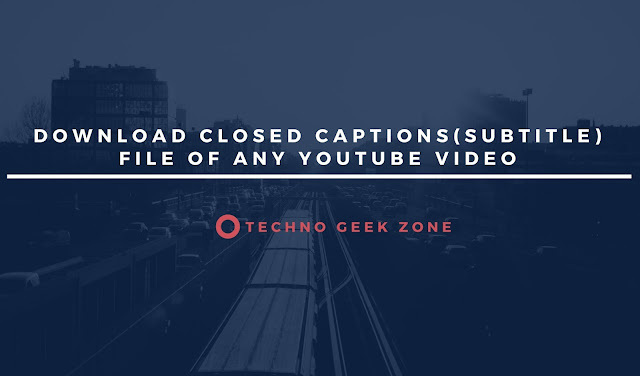 Welcome to Techno Geek Zone, today we are going to show you how you can download Subtitles i.e. Closed Captions of any YouTube video. Well, this is so simple because we are going to help of a third-party website since it is tough to download them directly. We will be using DownSub.com - DownSub is a free web application that can download and save subtitles directly from Youtube, DramaFever, Viki and more. Note: DownSub.com contains ads so it may be intrusive to use the website. While clicking on Download button you may be redirected to any other ads website but make sure to return and click on download button until it gives the download link page. 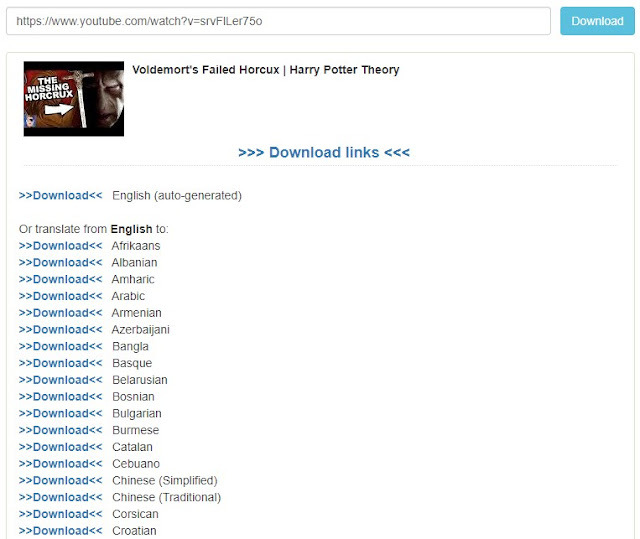 Step 5: After clicking on Download button a new page will be opened where you need to select your desired subtitles and download it. Step 6: That's it, Folks. When you will click on >>Download<< link then it will save a .srt file.